So back in 2003 after returning to Texas from my first post-college job in Chicago, I wrote an essay about my time there. That experience was not particularly unique - I graduated as a naive young architect with idyllic notions regarding what my chosen profession would really be like and naturally it took some time for me to accept that the practice of architecture was in many ways quite different from the study of it. But for whatever reason, the essay received a bit of attention. It won a competition and was ultimately published in a collection of essays about architecture and design. As a result I felt good about my writing prowess, used the recognition it garnered to pad my resume and then for the most part I completely forgot about it. And then, about a decade later, it came back. Or more accurately, one line of that essay came back. OK, it's a little overblown, perhaps, but it gets the point across and sounds pretty cool - especially the part about architecture being a verb. I'm sure I stole that from somewhere, but it works. Back in 2003 I remember that pull quote being used as an introduction for the 2,000 word essay. But toward the end of 2013 the quote suddenly started reappearing in corporate newsletters and online collections of quotes about architecture. Again, I was flattered but also a little bewildered. It's fun to have your words written along with those of Frank Lloyd Wright and Samuel Mockbee even if it is written toward the bottom of that list with the other unknown writers. Earlier this year things came full circle when a friend of mine from my time in Chicago sent me a email announcement he had received from a firm in Portland. 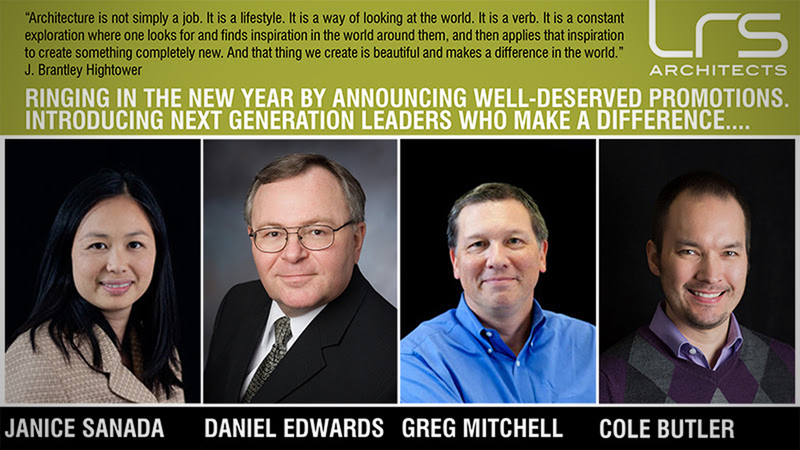 The email was announcing the promotion of four architects at LRS and there, above it all, was the quote (as seen in the image opening this post). At the end of the day, I'm grateful that so far this is the only thing from my online past that has come back to haunt me. I can only hope that those compromising photos of Ann Coulter and I remain hidden.